For decades, the halogen technology that has powered overhead dental operatory lights has remained virtually unchanged. Although halogen lights have provided adequate lighting for many years, it does have several disadvantages. Halogen lighting uses filament and halogen gas to produce light. 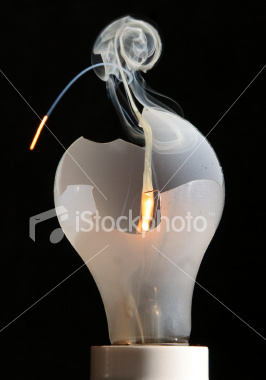 In order to produce light the filament must get hot which then causes the light to emit heat. Although the process seems simple, halogen lighting uses a lot of energy, is fragile, has a slower response time and must be replaced multiple times per year. With the amount of time your light is used during practice hours you may be changing your light bulb frequently and noticing you need to turn it off because of the heat. Consider that the short life span of these halogen bulbs means sending extra waste to landfills each time they must be replaced and that the extra energy needed to keep your operatory cool means higher electricity bills. DentalEZ® was one of the first US Manufacturers to take full advantage of this new technology with the introduction of the EverLight,™ the first 100% true direct LED operatory light in the USA. The EverLight is designed to address both the disadvantages of halogen lighting and the proper positioning of dental operatory lights. Correct lighting and proper positioning are equally important in your operatory. Using the EverLight can reduce fatigue, eliminate heat, minimize shadows and increase your productivity. The EverLight’s life expectancy is approximately 10 years, it emits no heat and does not require any replacement of bulbs. The EverLight uses up to 70% less energy which in the long run will save you money. There are 12 LED lights to maximize lighting and 9 color and temperature settings to meet all your operative needs including a composite setting. The EverLight™ is packed with features and eco-friendly benefits and is also backed with a 6 year warranty and an economical price! Why not switch today and find out for yourself why choosing LED technology will benefit you and help you run a more energy efficient and high-tech dental practice. For more information on the EverLight please visit www.dentalez.com/everlight. If you’re ready to switch to LED operatory lights or have already done so, you can achieve points toward Bronze, Silver or Gold GreenDOC™ Certification for your high-tech practice! If you’re interested in becoming a Certified eco-friendly practice, contact the EDA at info@ecodentistry.org today! dental services arlington to get one of these. Fantastic! Thanks much. When we share information, positive change happens.